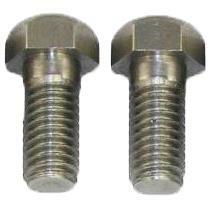 These bolts were used for the cylinder water upper outlet connection. They are the original domed headed bolts were used from August 1926 to end of 1927. Stainless steel. Set of 2.